Life Underground allows internet users to become passengers in a crowd of commuters and, as they would in real life, to see someone’s face and be intrigued, be curious, and wonder "Who is this traveler? Where is he from? What is he thinking? Where is she going? What animates her? Is she happy? What do we have in common?" Sharing the same carriage, standing on opposite platforms or leaving the same station, internet users are invited to virtually meet passengers of their choice, to listen to their personal stories, their dreams, their deepest thoughts... and to build relationships on a global scale, beyond language and culture barriers. Life Underground is an evolving project. While we travel virtually, Hervé Cohen continues to film in other underground networks around the world to reveal our common humanity but also to identify what makes us fascinating individuals. Life Underground is a web documentary accessible now on computers, tablets and mobiles, and it is also available as a series of short films for television. 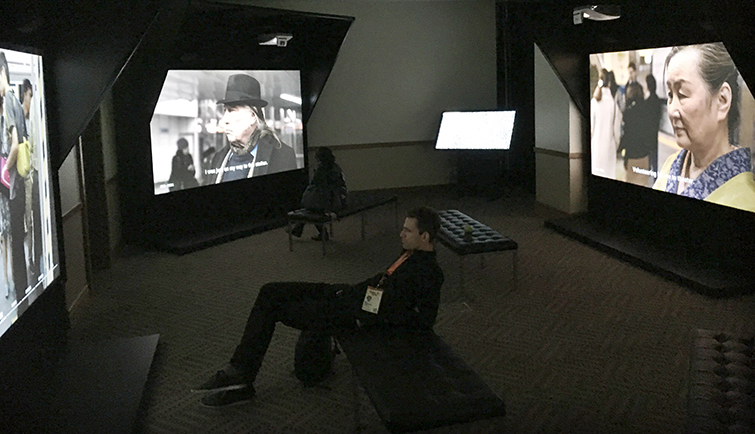 Life Underground premiered at SXSW as an exhibition and multimedia installation, and a book with text and photographic illustrations.